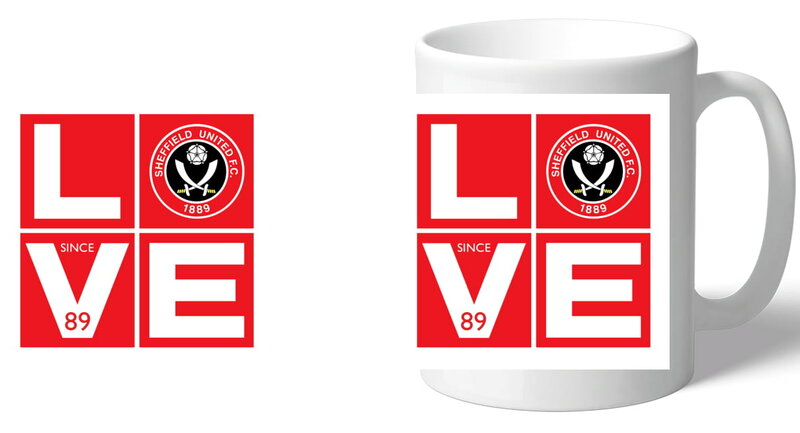 This truly stunning gift is sure to raise a smile as the recipient sees their personalisation on the Sheffield United Love Mug. 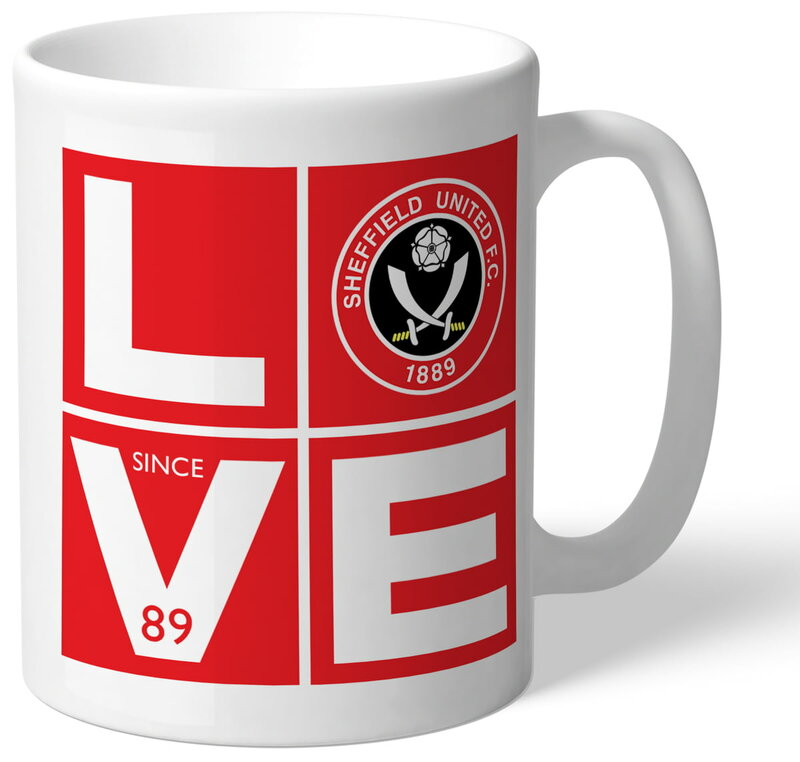 This Sheffield United Love Mug makes an ideal gift for any occasion. This truly stunning gift is sure to raise a smile as the recipient sees their personalisation on the Sheffield United FC Evolution Mug. This is a fabulous present for any Sheffield United FC fan and is approved and fully licensed by the club. This truly stunning gift is sure to raise a smile as the recipient sees their personalisation on the Sheffield United FC Stripe Mug. Our personalised 100% Sheffield United FC mug is a great present for any Sheffield United FC fan! This truly stunning gift is sure to raise a smile as the recipient sees their personalisation on the Sheffield United FC I Am CLUB Mug. This truly stunning gift is sure to raise a smile as the recipient sees their personalisation on the Sheffield United FC Retro Shirt Mug. Our personalised Street Sign Mug is a fabulous present for any Sheffield United FC fan and is approved and fully licensed by the club.